I am the Founder and Director of CRATEL, The Center for Research in Arts, Technology, Education and Learning. CRATEL's mission is two-fold: to explore technology as an expressive element and to use technology as a way to break down barriers between diverse groups of people. A repository for all programs, coursework and knowledge CRATEL-related. Consists of more than 1000 pages from more than 100 contributers. 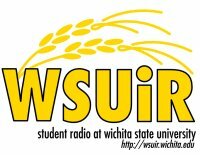 WSU's student-run Internet radio station was founded under CRATEL. An upper-level course offered by CRATEL and cross-registered in Fine Arts and Electrical Engineering. A course which explores how to build unique sounds and video effects. Uses technology and community-driven learning to introduce stringed instruments to 4th and 5th graders in rural and under-served communities. Realtime video manipulation from multiple webcams using Open Source Software for visual expression with musicians. WSU Students from complimentary disciplines submit ideas which integrate the arts with technology and have commercial viability. Up to $7,000 in prizes. Installation and configuration of online collaborative applications in support of local and specialized online communities. 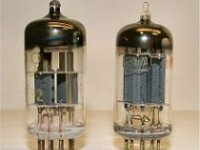 Tube emulators, smart environmental sensors for cars, and new interfaces for musical expression. The results of free exploration with technology on Friday afternoons. Logochip and Scratch in the public schools, research with PureJoy for youth, local audio archive project, local calendar project, and more. 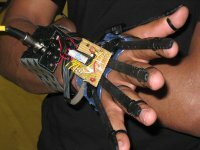 In 2004 and 2005, I was a researcher in Barry Vercoe's Music, Mind, and Machine group at MIT's Media Laboratory. The group explores how machines and people perceive sound and music, and how technology may transform our experience with music: how it is composed, how it is learned, how it is perceived, and how it is transmitted. SoundBlocks is a tangible environment where young users connect blocks to explore digital sound manipulation as a personal, meaningful and fun artistic endeavor. A Python wrapper for PortMidi, the cross-platform C library for realtime MIDI control. Proximity detection system within a microphone provides another dimensionality for expression. How can a computer learn to recognize chords in music? Adapt commercially available music technology to help urban youth find personal self-expression in a playful creative and free environment. How I learned to build working prototypes quickly and easily. My experience with the world's most established academically-based audio synthesis langauge. My interests in synthesizing music, learning, and digital technology are longstanding. I started programming Z80 assembler in 7th grade, the same year I performed the first movement of Mendelssohn's violin concerto with the Boston Pops Esplanade Orchestra. Before attending MIT I was a double-degree in Computer Science and Music, first at Eastman School of Music and University of Rochester, later at Cleveland Institute of Music and Case Western Reserve University. A two-player game for Gameboy where players record and reverse audio, then guess what they are hearing. Extending the audio and memory capabilities of Nintendo's GameBoy. Prolog code to write contrapuntal works such as fugues and rondos. LegalLanguage is a computer language I created which is specialized for use by lawyers so their clients can easily generate necessary legal documents. 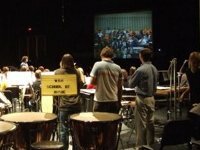 Music students at Wichita State University, USA use Internet2 to collaborate with music students at the Irish World Music Center in Limerick, Ireland. Forming and establishing a mini-deparment of 3 faculty teaching string improvisation to string students of all ages and levels of experience.